Do I have to pay anything to be a Dufry RED member? Is Dufry RED a fidelity program? Is Dufry RED a credit card? 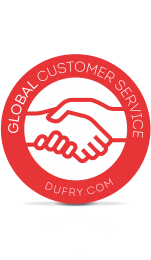 What is the difference between Duty Free and Dufry Shopping? 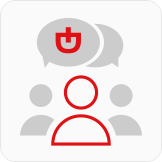 Because it is a relationship program, Dufry RED does not charge the member for any cost or fee. 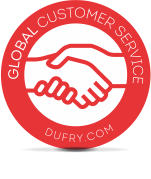 See here the benefits of being a Dufry RED member. Chat with one of our operators now. Our Contact Center is open from Monday to Saturday, 7 am to 7 pm, excluding Brazilian national holidays. Contact us via telephone. Call 0800 72 38379 to talk to us free of charge. Our Contact Center is open from Monday to Saturday, 7 am to 7 pm, excluding Brazilian national holidays. If you are outside of Brazil, use one of the phone numbers below, Monday to Saturday, 10 am to 4 pm GMT. Language options: Portuguese, Spanish and English. Our primary goal is to keep customers satisfied. In order to speed up the process, in cases of complaint and requests regarding purchases, please provide your passport number, full name, address and attach the sales receipt (from top to bottom) to the end of the formulary. Click here and find our available pre-order pick-up points! © 2017 Dufry. All rights reserved.